Directa Plus plc, leading supplier of graphene-based products for use in consumer and industrial markets worldwide, has announced its first collaboration with Eurojersey S.p.A., Italian producer of high quality warp-knit technical fabrics, under its Sensitive Fabrics brand, to produce a range of fabrics containing Directa’s graphene-based products. Unveiled by Eurojersey at the recently held ISPO Munich, the companies are now conducting joint R&D to further develop the prototype textiles into product samples that will be marketed to the customers of Directa Plus and Eurojersey. The lamination of Sensitive Fabrics with Grafytherm functional membranes containing G+, distributed exclusively by Directa Textile Solutions, produces a technologically advanced fabric with unique thermal features: the presence of G+ graphene, which is highly thermally conductive, allows a homogeneous distribution of the heat produced by the human body in cold weather and a heat dispersion effect in hot weather. The result is an ideal thermal comfort level for every wearer, in any situation, which has not been accomplished with any other material. 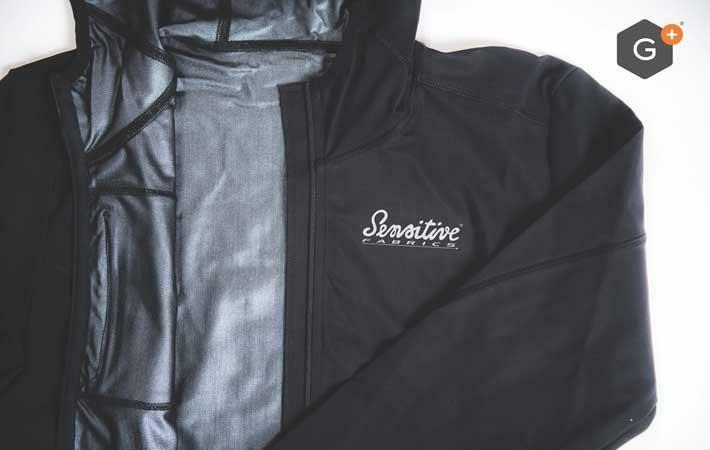 The first R&D samples of these innovative technical textiles are characterised, in addition to the thermal features, by high elasticity and a high grade of breathability, waterproofness, and windproofness. As a result, they are ideal for sporting activities, ensuring comfort, and freedom in any weather condition.